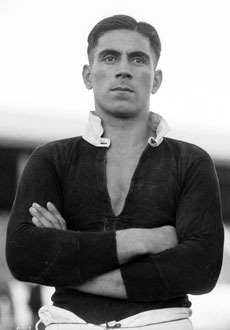 Born in Wairau in 1907, his sporting career covered Rowing, Rugby and Rugby League, in all of which he attained national honours. John also excelled at Tennis, Boxing, Shooting, Cycling, Table Tennis, Darts, Golf, Billiards and Snooker. 1941 – 1948 Captain of the NZ Services tennis team at Wimbledon. Won a mixed doubles title at Wimbledon, but defaulted as he was a professional Rugby League player and Tennis was amateur.